The Middlesex County Bar Association honored Jeffrey N. Catalano with its 2017 Outstanding Service Award presented at the organization's 117th Annual Banquet. 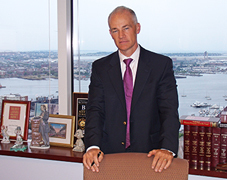 Mr. Catalano, a partner at the firm, is immediate Past President of the Massachusetts Bar Association. He is active in a number of public interest organizations, including the Massachusetts Alliance for Communication and Resolution Following Medical Injury (MACRMI), Health Law Advocates, Inc., and the National Patient Safety Foundation. 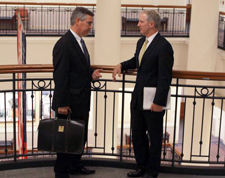 He testifies before the Massachusetts Legislature regarding patient rights and health care issues, and he helped create the law improving transparency and compensation following medical errors. 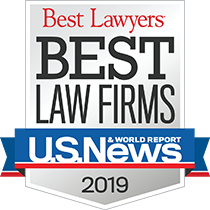 Mr. Catalano concentrates his practice on representing victims of catastrophic injuries in medical negligence, food poisoning, product liability, auto accident, class action, and other personal injury cases.